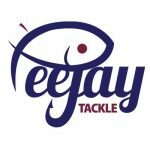 Following on from Part 1 where I had a look at the latest Bait-Tech groundbaits and the new Stick Mix Liquid flavours, I’ve since had chance to use some more of the products released for 2018. 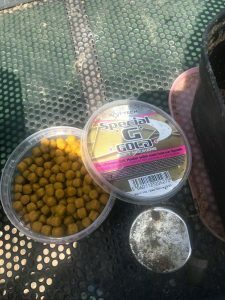 First up were the Special G Gold, Green and Dark soft hookers, now I have to say I don’t tend to use shop bought soft pellets very often as I think with expanders, the softer the better and that’s why they’re so good. 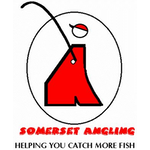 The only times I do turn to a pot of soft pellets is when small fish are a real problem and you need a slightly more durable hookbait without having to resort to hard pellets. In a recent match at Summerhayes I was having expander problems where they were turning to mush or I couldn’t get one on the hook without it splitting. It was getting really frustrating and then I remembered I had a pot of Special G Gold soft hookers in my carryall. As you would expect they were a lovely gold/yellow colour with a fishmeal smell and a nice soft texture. With using any new bait, there’s always a little period of uncertainty until you catch a few fish but I needn’t have worried as I started catching some good skimmers, a tench plus lots of carp and finished up second in the silvers, you can read the full report of that match here. 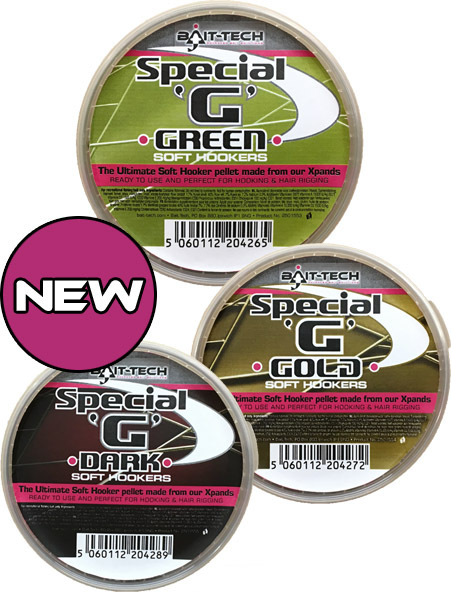 They compliment the rest of the Special G range perfectly and although expanders I’ve prepared myself will always be my number one choice, I will make sure I’ve got a tub of these in my carryall. 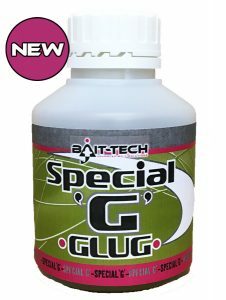 Also joining the Special G family is a new glug but to just class it as another glug is doing it a disservice, as well as using it to coat hookbaits in Special G goodness, you can add it to the water for pumping expanders and mixing groundbait. Another great little twist on a classic is when you prepare your meat the night before, put the cubes in a bag and add some Special G glug, blow in it to inflate it and then give it a good shake to make sure all the meat is coated and then put it in the fridge overnight. In the morning you will have lovely Special G infused meat. 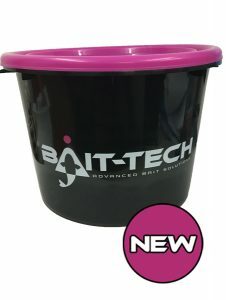 There’s also a new Bait-Tech bucket for this year, now there’s not too much you can say about a bucket but it has a 17 litre capacity and can be used for storage and, of course, mixing your new ‘Juice’ groundbait. It’s black with a pink lid and has the Bait-Tech logo on the side. 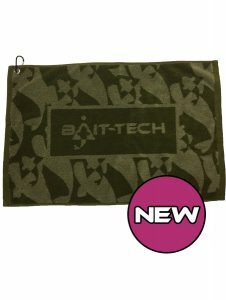 A Camo Towel has been added to the range, with it’s unique camo pattern it’s aimed at the carp angler but every angler should have a towel with them as it’s one of those items that you don’t really miss until you need one! 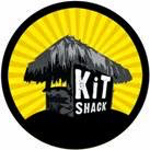 They are 23″ by 15″ and come with a split ring carabiner and are 100% cotton and machine washable. They retail for £9.99 but Bait-Tech are currently running an online promotion where you can get two for £15.00 with free delivery (click the image below for details). Some fantastic new products and I’m certainly looking forward to experimenting with them further so keep an eye on the blog for regular updates, the ‘Juice’ groundbait is already a firm favourite and I can’t wait to try the Pro Nat Dark Fine at Dillington in the winter.